Why buy bottled water stored in plastic? 2. Some brands are more expensive than petrol per litre. 3. Prices range from around 60 cents to $2.98 per litre. 4. A family of 4 could consume from $1.80 to $7.50 per day. 5. Your weekly budget will restrict the amount you are able to buy. 6. Are you drinking filtered water or tap water? 7. How long has the water been stored in plastic containers? 8. Water stored in plastic not ideal. 9. More litter in our environment. 10. More weekly rubbish to fill our bins. 12. Do you drink all the water or waste some? 13. Does the water you buy, last all week to suit your needs? 2. Weekly supermarket costs are less. 3. Own home filtering system only 15 cents to 23 cents per day. 4. Unlimited fresh purified water. 7. Fill your own quality drink bottle as often as you require. 8. Use for hot and cold drinks. 11. Use in the iron. 12. Better for your animals. 13. Better response from indoor plants. 14. Has been known to help with some heath issues. 15. Encourages younger families to drink more water. 16. Low costs and more efficient. SERVICE, THAT IS BEST FOR YOU AND YOUR FAMILY. We can provide maintenance and repairs for all brands of water filters, water coolers and all NZ backwashable systems (Classique and Oasis). With an extensive product knowledge, we ensure you get a personal solution for your exact needs. Water filters for your home or workplace? Water coolers for your home or office? Water purification for rural water supplies? Are you worried that your home water supply is untreated and unheatlhy to drink? A lot of untreated rural water supplies hold a huge amount of waterborne parasites and bacteria that may cause health issues. By using UV systems and sediment filters you can ensure your family has quality drinking water and water for other uses. Or this can be arranged by you independently. By getting an official water testing we can be sure of the exact water treatment you need and build a water purification process and system designed to meet your requirements. There is a charge for laboratory testing. Depending on how much water you need in your home and what the exact condition of your water supply is. We can also install water purifiers and water filters in your home for clean drinking water. And improving the quality of the water to the whole household, for showers, washing clothes, drinking, gardening and more. Rest assured that you have pure water that has improved with our professional systems and water purification equipment. 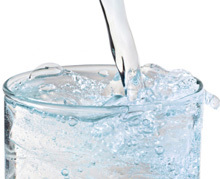 With 18 years experience providing pure water systems for clean drinking water throughout homes and offices in the Tauranga region more information..